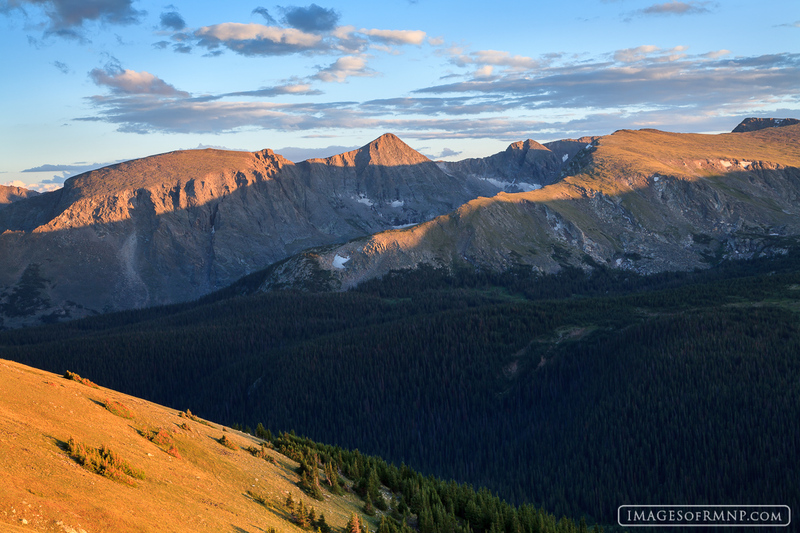 The setting sun lights the tops of the mountains and the tundra while Forest Canyon enters into the shadows. The warm July evening is filled with color for a few minutes before the sun finally says good night. Photo © copyright by Erik Stensland.